In 1895 Japan acquired Taiwan as its first formal colony after a resounding victory in the Sino-Japanese war. For the next fifty years, Japanese rule devastated and transformed the entire socioeconomic and political fabric of Taiwanese society. 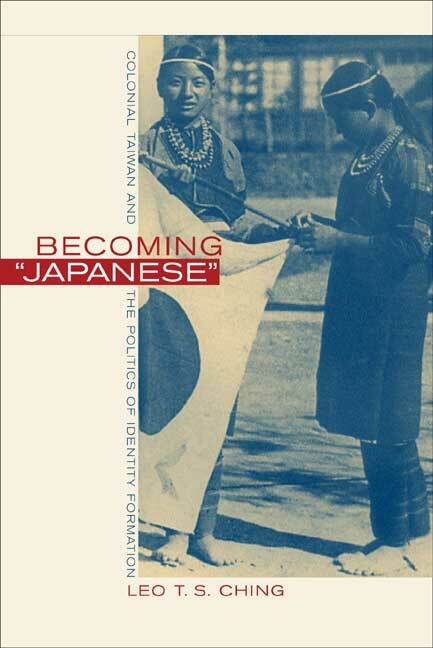 In Becoming Japanese, Leo Ching examines the formation of Taiwanese political and cultural identities under the dominant Japanese colonial discourse of assimilation (dôka) and imperialization (kôminka) from the early 1920s to the end of the Japanese Empire in 1945. Becoming Japanese analyzes the ways in which the Taiwanese struggled, negotiated, and collaborated with Japanese colonialism during the cultural practices of assimilation and imperialization. It chronicles a historiography of colonial identity formations that delineates the shift from a collective and heterogeneous political horizon into a personal and inner struggle of "becoming Japanese." Representing Japanese colonialism in Taiwan as a topography of multiple associations and identifications made possible through the triangulation of imperialist Japan, nationalist China, and colonial Taiwan, Ching demonstrates the irreducible tension and contradiction inherent in the formations and transformations of colonial identities. Throughout the colonial period, Taiwanese elites imagined and constructed China as a discursive space where various forms of cultural identification and national affiliation were projected. Successfully bridging history and literary studies, this bold and imaginative book rethinks the history of Japanese rule in Taiwan by radically expanding its approach to colonial discourses. Leo Ching is Assistant Professor of Japanese in the Department of Asian and African Languages and Literature at Duke University.